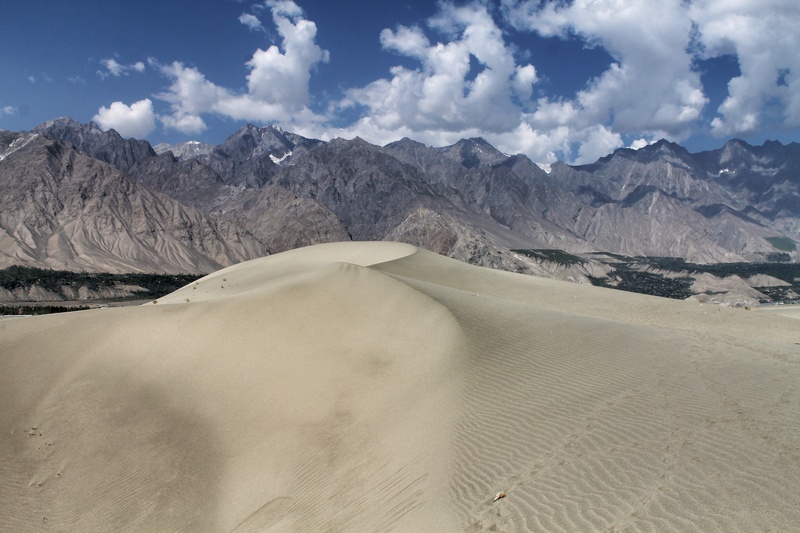 The Skardu Desert of Pakistan is one of the most unique places on the globe. This unique place is likely to send shivers down your body and give you one of those once-in-a-lifetime experiences that make life worth living. The route to the desert is an adventure itself. The desert quietly guards the entrance to two of the largest glaciers in the world. The desert is located at an elevation of almost 10,000 feet above sea level. This interesting desert is surrounded with a valley that is covered with lush green vegetation. Imagine walking into a lush green paradise which suddenly meets a barren desert from where you can see the snow-capped mountain tops towering above miles of sand dunes. The temperature of this desert drops to -25 °C in December.